Free low energy glass and argon gas upgrade for all new orders! 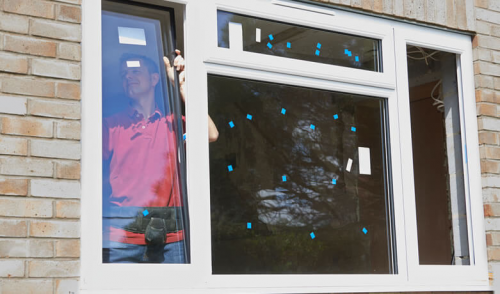 At Blue Sky Windows, we specialise in custom made windows and doors that are constructed from ultra-durable uPVC (Unplasticized polyvinyl chloride), giving the end products fantastic thermal and acoustic properties, and unparalleled security. From uPVC folding windows to sliding doors, we only believe in selecting the highest quality materials for all your custom made windows and doors, ensuring you receive nothing but the best. 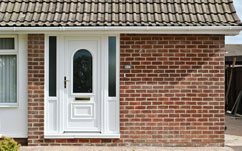 Our uPVC double or triple glazed windows, traditional and modern doors designed to make your life better – whether it is old rustic home or modern architectural house. uPVC steel reinforced windows by Blue Sky come in various designs and colours, enabling creation of the new look or match the existing style. 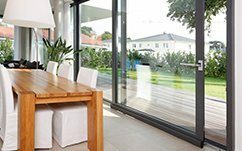 uPVC windows are currently the most energy efficient solution within Melbourne as it allows to reflect the heat in summer plus preserves warmth in winter on a new scale. Additionally, your house will stay secure with our multipoint locking and quiet all year around. 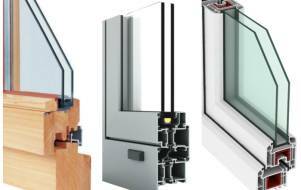 uPVC window has far better performance characteristics compared to aluminium or timber options. We are currently running a promotion for all of our double glazed custom windows and especially doors – Free Low Energy Glass and Argon Gas upgrade for entire order! 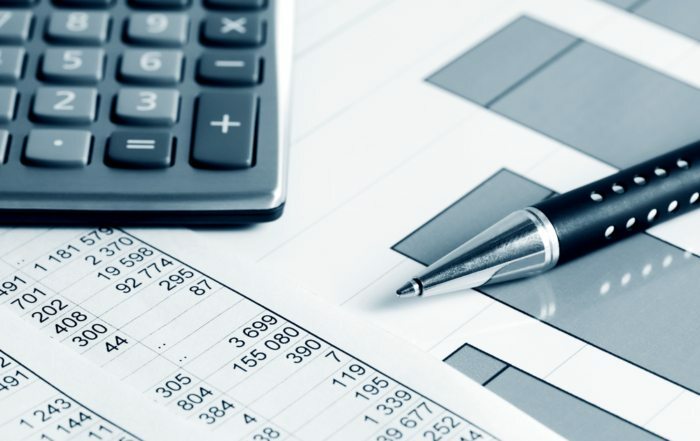 – this means even further benefits in energy efficiency for your home. 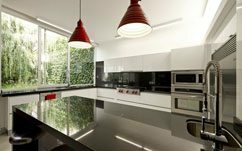 Please click HERE to find out more about benefits of low energy glass in PVC windows or custom doors in Melbourne. 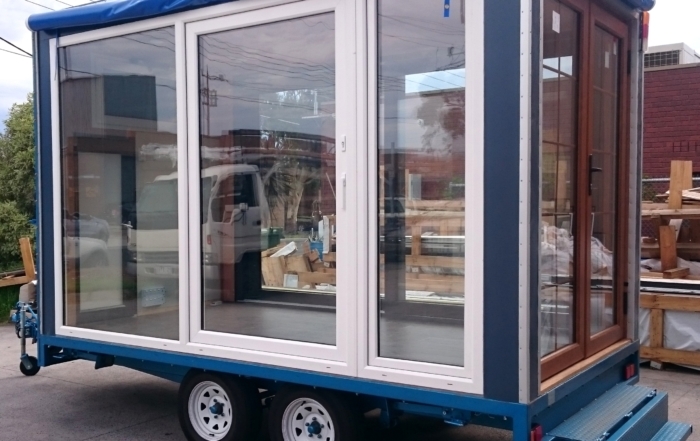 All items are custom manufactured at our Melbourne factory uPVC products, including architecturally designed windows, doors as well as screening products, using German made components with locally made insulated units. 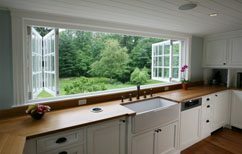 Two ways to excite fresh air lovers as your Tilt & Turn windows will give you multiple options to freshen up your home. Easy sliding both sides and tilting at the top window systems facilitate excellent ventilation. BlueSky Tilt Only small-sized windows provide necessary air exchange so that you always get a lungful of fresh air. 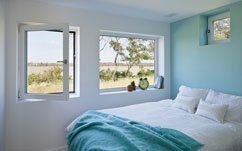 Simple and convenient windows for your Melbourne home! BlueSky Turn Only windows can be fixed in any position. The system provides ventilation and protects from rain while saving space for any home design. Classic and conservative look of your home can be successfully completed with BlueSky Casement windows. 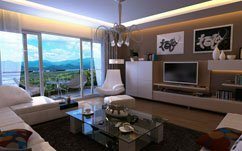 If you are willing to save a beautiful panorama — BlueSky Sliding windows will keep your goal reached in full! 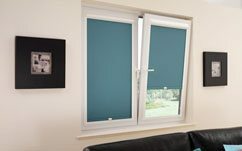 Folding windows from BlueSky can be of a great help if you wish to connect your terrace with a kitchen area. Finding a well-built entry door is essential, both for giving good first impressions of your home, and for keeping your home secure, as the single biggest point of entry. 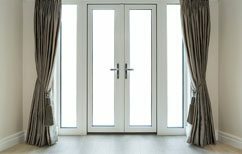 Our uPVC Casement Doors balance functionality and design to provide doors that can suit a range of functions, for both interior and exterior-facing rooms. 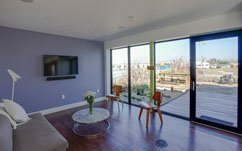 These Sliding Doors from Blue Sky Windows provide a gateway from the warmth of your home into the outdoors. When shut, they provide an uninterrupted view and floods of natural light. 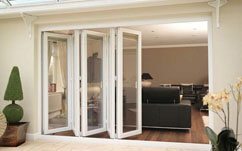 Our Bi-Fold doors are ideal for maximising on the space available in your room, providing a large point of entry into an outdoor patio or garden space. Mixing a classic design with modern functionality and build, our French Doors offer a gateway to the outside world from the comfort of your home. 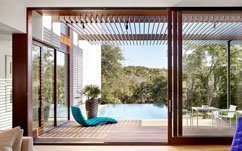 Tilt & Slide doors offer two distinct ways to bring fresh air into the home. 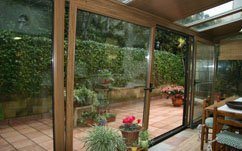 These doors can slide aside fully, offering unrestricted access to the outdoors, or they can be tilted inwards, offering full ventilation, whilst preventing outside entry to the home. Our Lift & Slide solutions make it simple to open up your home to the outdoors. The ‘lift and slide’ design makes it simple to open and close the doors with relative ease, whilst the grandeur of the windows extends the feeling of space in your room. Our Parallel & Slide Doors offer the benefits of a sliding door, whilst retaining a simple interior appearance, with no visible tracks, and not skimping on security features. 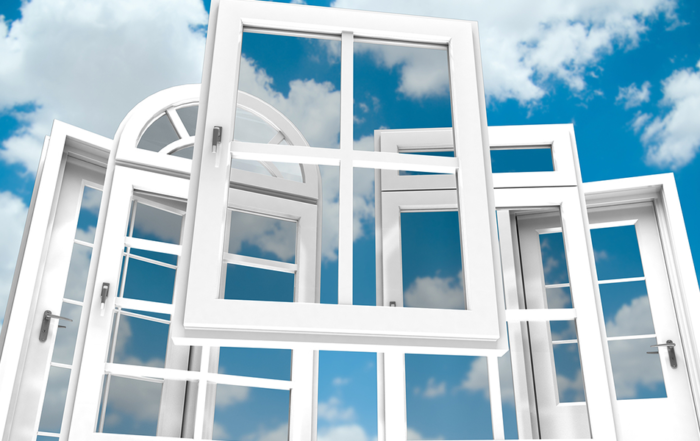 Are your uPVC windows recyclable? Yes, our uPVC windows are made from recyclable uPVC profile. Offcuts we create are collected and reused to manufacture recycled palings, raised garden beds, claypot rods, webbing and other small goods. Our galvanized steel offcuts are recycled with metal recyclers. Please contact us for more information on how our products are recycled. Are windows imported or manufactured locally? 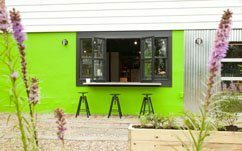 All of our windows and doors are custom manufactured locally in our factory in Oakleigh South. 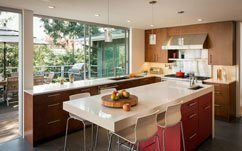 If you are building a new house, but want to get windows in stages or not sure about final sizes – this is not a problem, because you don’t need to order in advance. 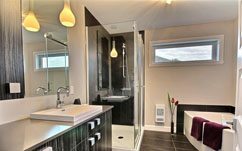 Or if someone of your other trades working on your renovation broke something – that can be quick and easily fixed without a need to wait. uPVC windows we manufacture will perfectly preserve heat in your home because we make them of high-quality profiles, glass units, and other component parts and materials. You and your children will be able to sleep well, and noise will not harm your health. We properly select connecting profiles; therefore, the structure of the window is free from fluctuations, vibrations, and wind- and rain-proof. Plastic windows stand out not only for their excellent insulation properties, but also are highly air-tight. Plastic windows can help prevent children injuries and protect your home against burglary. You can choose your own shape and size of the window in accordance with maximum sizes prescriptions. We can manufacture windows of different colours as well as make the internal and external sides of the windows in different colours. We manufacture tailor-made windows that are easy to clean, and need no painting. 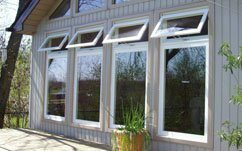 Being a family operated business with a more than 15 years of experience in windows industry, we are ready to provide our customers with energy-rated, energy saving, low maintenance products. Save on energy bills by installing custom made uPVC Double Glazed windows for your Melbourne home!